A few posts back we talked about color carrying information from planets outside our solar system. The colors were a visual indicator of the chemistry on the planets surface and whether or not life as we know it could exist in that environment. Color is used in a myriad of situations to communicate information. Take the example of using colored stripes on the floor or wall to lead people through buildings. Many institutions like hospitals, airports and large office environments can get people turned around very easily. Does the upward pointing arrow mean straight as in forward or back the way you came ? 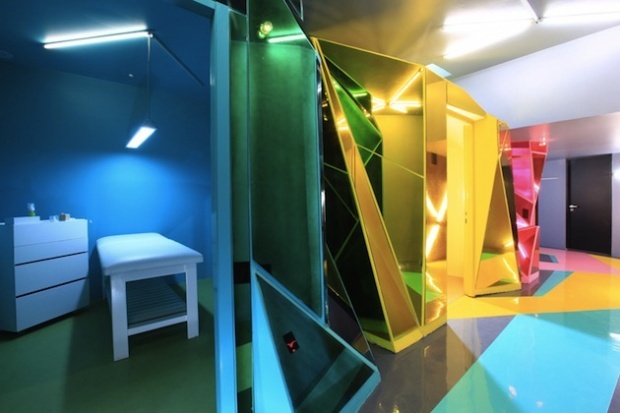 Color is an effective method of solving architectural way finding problems. 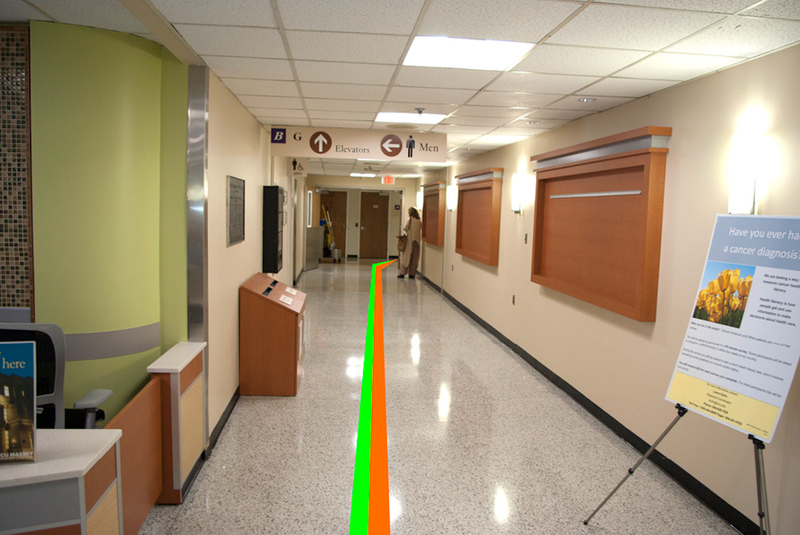 Visitors may be illiterate or speak a language not covered by the hospitals signage but they can still follow a colored line. Go to the orange door is an easier mental task than 5th door on your left. Frequently the situations that bring you to large unfamiliar institutional settings is stressful. This compounds the task of determining if you are getting off the elevator on the right floor or finding the right department. 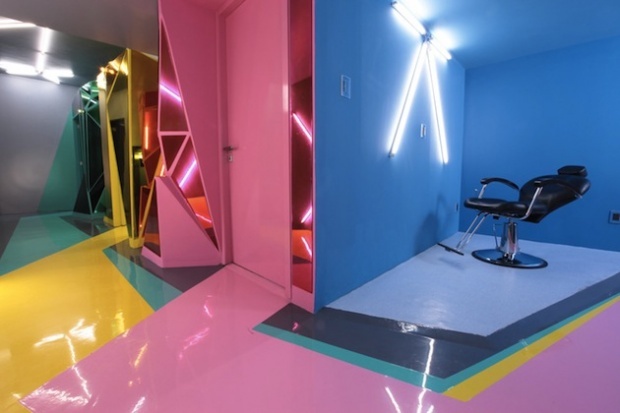 Before we file this great architectural color application under function only take a look at this creative salon in Mexico City. Even though the space is small and the doors could easily be numbered, a more inventive approach was used. Each of the private rooms has its own color theme. Clients commonly request their favorite vibe. The receptionist then instructs the client to follow the corresponding color on the floor. Instead of the straight or parallel lines we find in more utilitarian settings, these colors meander. They accentuate the geometric repetition in the architecture of the space. Form and function are fused. The decision to purchase a new game may be more involved than you think. It can be like throwing money down the toilet if you don't know what you're doing. Online reviews are a great way to get a sense of how entertaining a game will be.